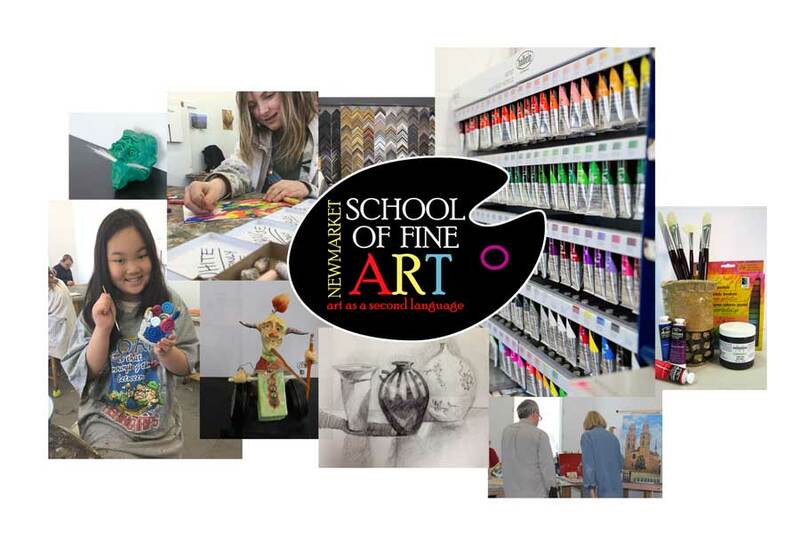 Established under Martin and Rita Pryce in 1992, and ownsership transferred to Fred Thomson in 2013, the Newmarket School of Fine Art has been a haven for artists of all ages and levels of experience for over 25 years. Today it continues to grow while maintaining its reputation as a welcoming and supportive environment for community members. Whatever your language, we will help you to further your means of expression through art. At the Newmarket School of Fine Art we see art as a second language through which we can express ourselves in new and creative ways. We believe that, given the opportunity and suitable instruction, everyone has the ability to discover new things about themselves through artistic expression. Our wide variety of classes offer a breadth of professional instruction for every age and level of ability in a friendly, positive environment.